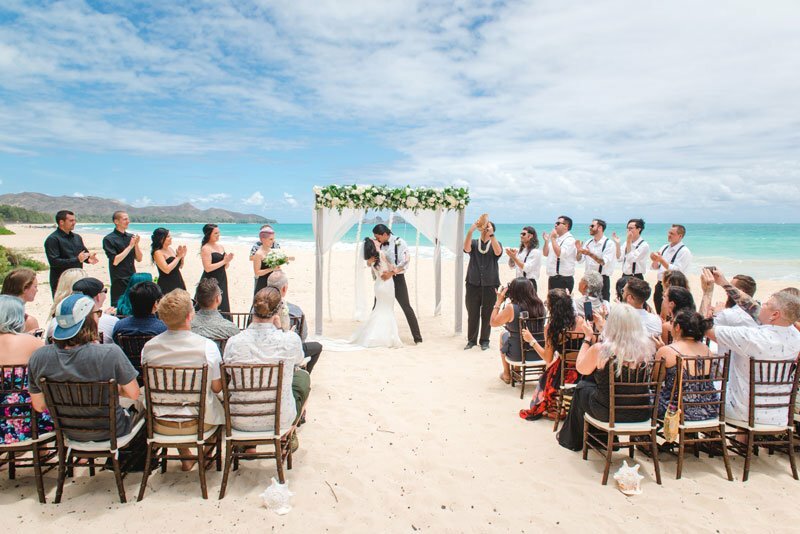 Hawaii Wedding Blog - Weddings of Hawaii | Teri S.
Some of the most common questions we get are about the ceremony process, and we’re always excited to share all the Hawaii wedding traditions that help make your day so special. You may already know that we have two offices in Waikiki, and about 97% of our couples stay in in the Waikiki area. We recommend Waikiki for lodging because of all the hotel options available, the convenience of the area, and all of the events nearby! As locals, we have tons of "things to do" that we’d recommend, but we also wanted to let you know about some current events and activities coming up. 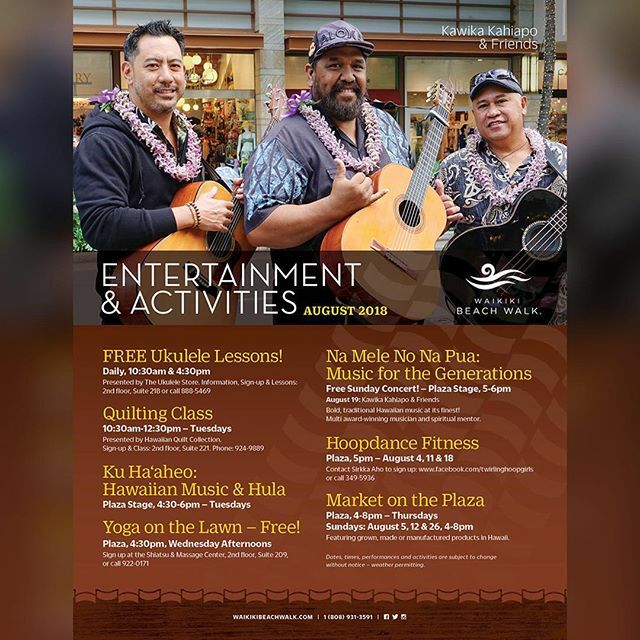 Many events in Waikiki happen throughout the year, so if you’re reading this but coming later, you should know there will likely be similar events to choose from. We mainly want to give you an idea of some activities other than enjoying the beaches and natural beauty of Hawaii. Capturing memories with photo and video is an important part of your day, and we want to give some tips to make sure you look your best and are comfortable with your team. 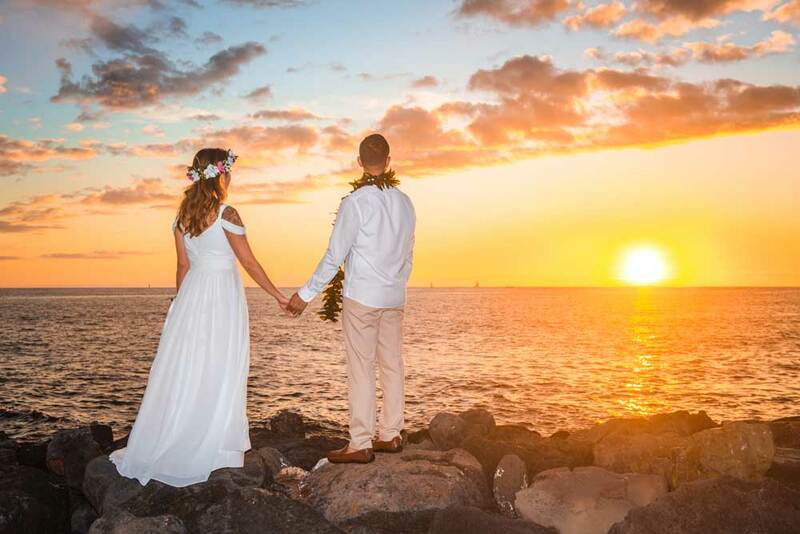 Our professional photographers will greet you with a warm aloha and lead you through everything from start to finish. They know it’s not every day you turn up for a photo shoot, so they’ll do their best to make you comfortable. Relax and enjoy yourselves. The day is meant to be fun, so don’t take the photo shoot too seriously. Let your photographer know if you have any special requests. If there’s a particular pose or photo you’ve seen on our website that you know you want, just ask. Have good posture. Standing and sitting up straight are more flattering. Not sure about your smile? Mix it up. Your photographer will take a lot of pictures, so feel free to try a variety of expressions. Don't be late to your ceremony or it'll cut into your photo/video time. Following your ceremony, your photo shoot will start with group shots. If you have a large amount of guests, prep them so they know not to disappear. These take more time than you might think. Love on each other. You’ll see the emotion and joy in the final pictures! 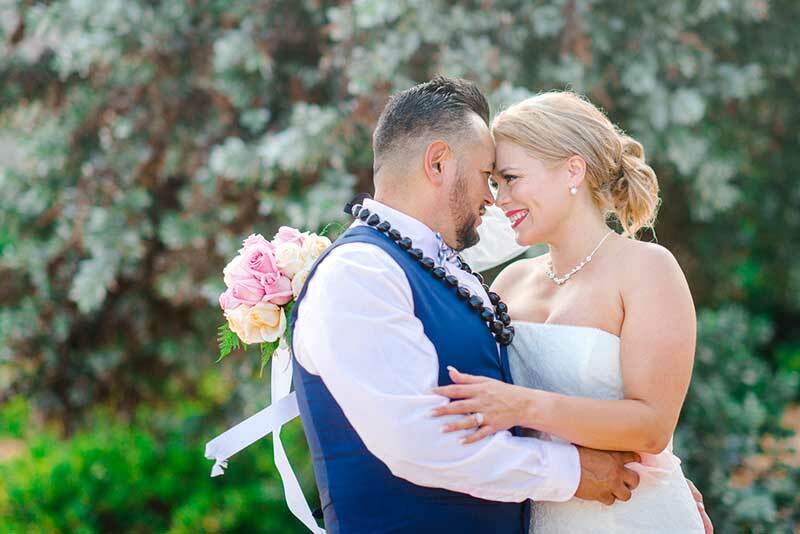 It’s not uncommon for family and friends to reach out to us before your Hawaii wedding, and we often hear many of the same questions. We’re always happy to help, but we thought it’d be nice to provide some of the information ahead of time to help you and your guests plan better. We focus on providing a stress-free wedding or vow renewal for our couples, but we want your entire party to have a relaxing, wonderful experience. 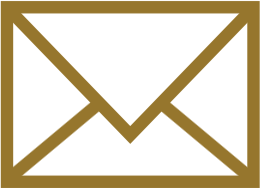 We feel this is a great link to send your guests, and we encourage them to send us an email (coordinator@wedhawaii.com) if they have a question not answered here. That’d help us improve the list! And one bonus tip for all guests: Don’t be late! If the couple is waiting for you, that means they are losing ceremony, photography, video, and transportation time (depending on their wedding package). Be safe and arrive early! Okay, here we go. We hope these help! One thing we’ve learned over the years is that every couple we meet is unique in one way or another. It’s one reason we love chatting with couples during a phone consultation early on in their planning. Not only can we answer a lot of your questions, but we can also get to know what’s important to you and what kind of ceremony you’re looking for. We have couples who book over a year in advance, and we have plenty of couples who decide on a last-minute elopement or vow renewal. 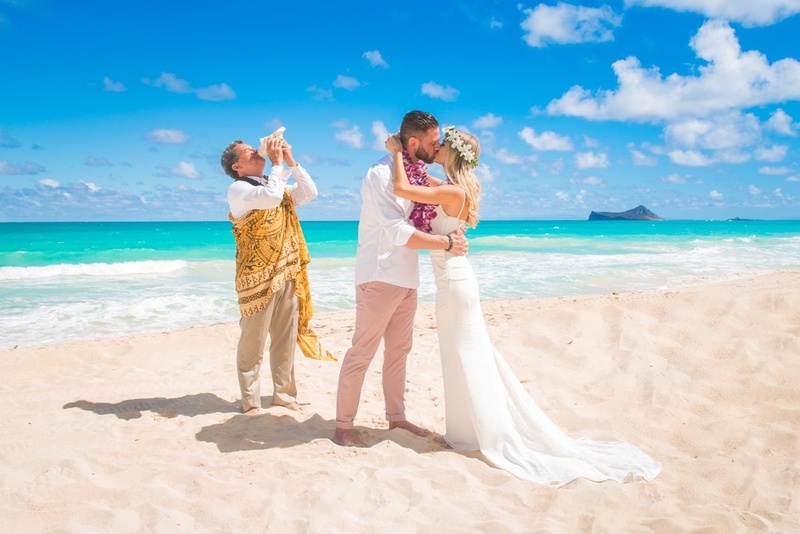 Planning is obviously different for everyone, but we always like to provide you with a guide and as much information as possible, so we’ve put together a list to help you plan your destination wedding to Hawaii. A Hawaii sunset wedding at Magic Island.